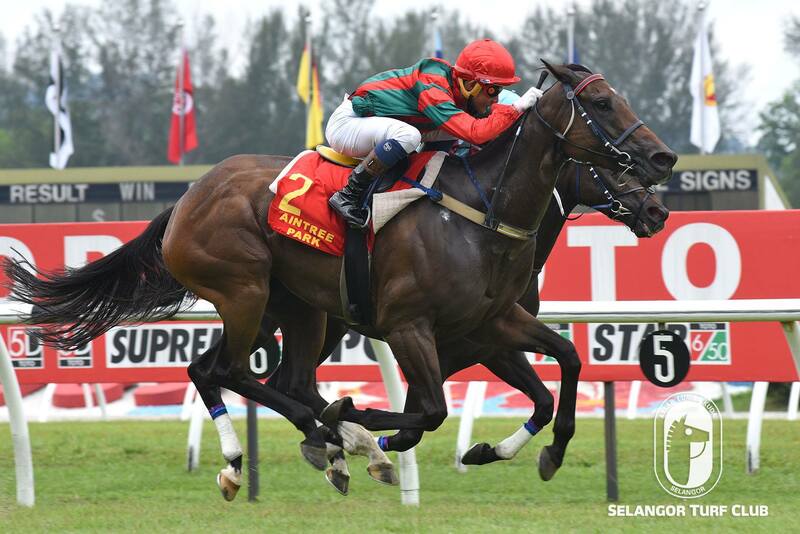 Aintree Park Thoroughbreds, based in Melbourne, Australia houses some potential thoroughbreds, showed their support into the local racing by sponsoring the Aintree Park Challenge Cup run over 1400m in Race 4 on Sunday, 31 March 2019 at the Selangor Turf Club. The race, which was won by D’ Great Rich was sold by Aintree Park and the six-year-old mare by Ruwi arrived here unraced in 2015. Raced 39 starts for six wins and has earned about RM234,736 in prize money. D’ Great Rich was ridden by Apprentice CC Wong and staved off the late challenge by Confeat to win drawing away. The Stud Farm also has sold some potential runners to Malaysian owners in Panca Delima, Crown Star, Panda Bomb and More Power. Aintree Park offers Complete Broodmare Care, Yearling and Spelling Agistment, Complete Foal Care and Food & Nutrition. Log on to https://aintreepark.com.au/index.html for more information.